Twenty Days to Save on HPs! June – Cash Back on HPs! Extended Cash Back on HPs! Get Cash Back on HPs! Exciting News! Now in Napco’s Production Department, HP PageWide Technology! 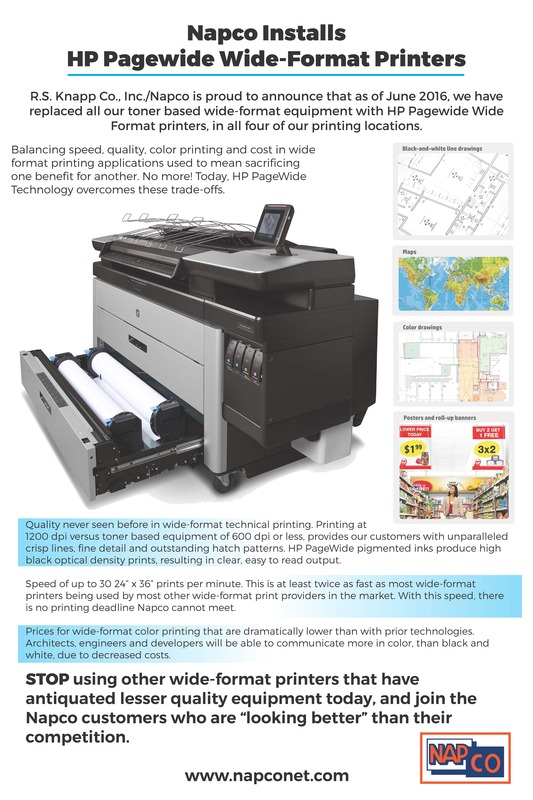 We have replaced all our toner based wide-format equipment with HP Pagewide Wide Format printers, in all four locations. Get a PDF of this announcement! Get Cash Back on HP T3500 and T2530!